Our Gallery magazine is now available and showcases a selection of the artists we represent and examples of their work. Art, Sculpture, Ceramics, Furniture and Gifts that are different, beautiful and unique … and reallyverynice. Our Art Gallery is a dynamic collection of work from contemporary artists. Designed to elicit temptation and desire, the Reallyverynice portfolio includes affordable and beautiful pieces: paintings, sculpture, ceramics and handmade furniture. We're a husband and wife team with many years of experience working in the world of sales and marketing. We enjoy our country life in Suffolk with our dogs, horses, donkeys and chickens! “Having built a career in the corporate world working as a director of a major furniture company, I decided to make a lifestyle change. Following the death of my father, my mother needed to come and live with us so I needed to be based at home as well as take away some of the stress and strain of managing a busy sales team. I have always had a passion for art, sculpture and ceramics and also love shopping for unusual things so this seemed a natural fit. 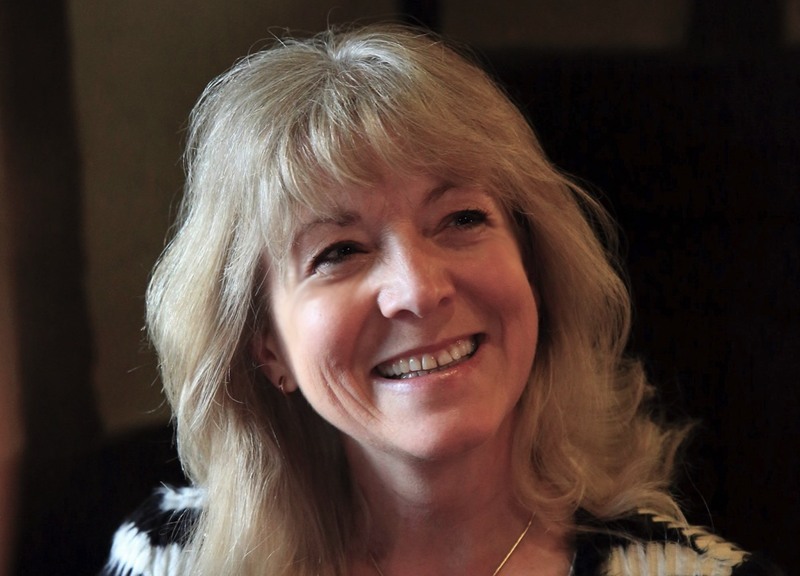 “Having run my own marketing communications consultancy for almost 40 years, I am enjoying working alongside my wife, Joanna. I focus my energy on researching new, emerging artists as well as artisans that share our philosophy, maintaining our web site and marketing activity - not forgetting driving the van, setting up our exhibition stands and developing our first Gallery whilst looking for opportunities to establish more! 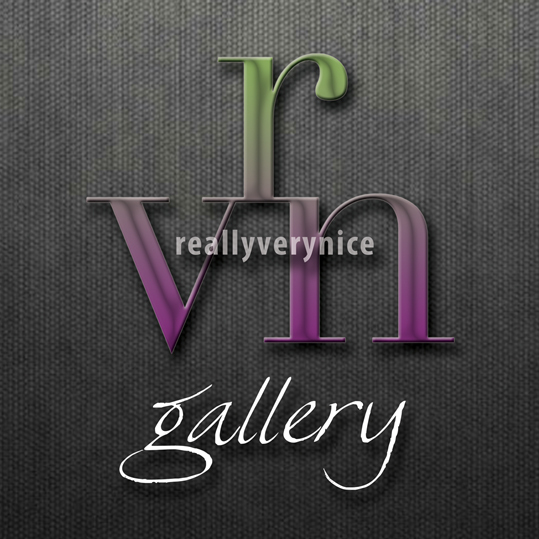 You can visit our online shop to unlock the Reallyverynice vault. Gift items are available to purchase online, and you can request full details and additional photos of all other Gallery pieces. We hold our own private ‘by invitation’ events – visit our news page to see the forthcoming schedule or ‘sign-up’ to receive your exclusive invitations. We are also able to offer a source service. If you are looking for something really very nice, give us a call – we’ll be able to help. 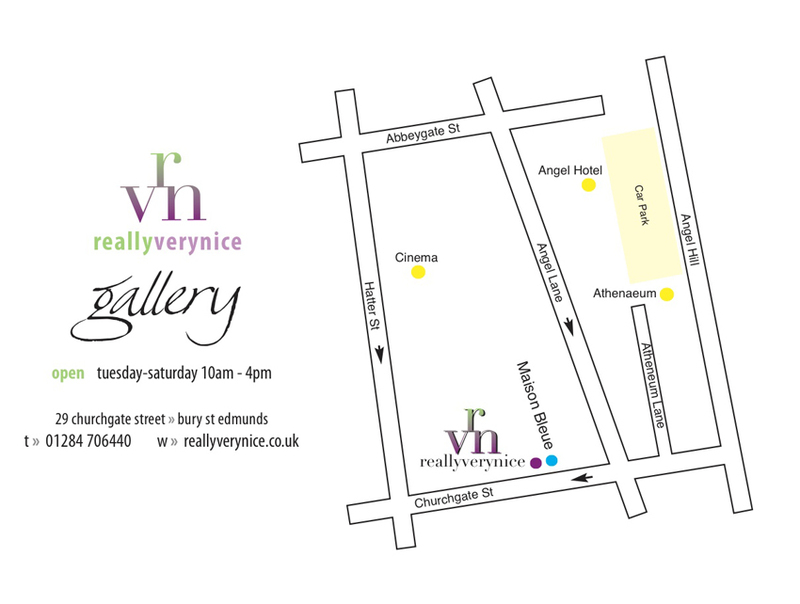 Reallyverynice has opened a Gallery at 29 Churchgate Street, Bury St Edmunds Suffolk IP33 1RG. The charming 16th Century shopfront close to the cathedral, is next door to the finest French restaurant in the East of England - Maison Bleue - a great excuse to have lunch and visit us to view our collection of one-of-a-kind sculptures, hanging art, ceramics, furniture and unusual gift items. We are open 10am - 4pm Tuesday to Saturday. Scroll above picture right to take a look at the interior.